This book is AWESOME! This book will change you! Before I read “You are Awesome,” I had a fixed mind-set and found English boring! This book encouraged me to improve and now I have the confidence to participate and to be calm in stressful moments (I did my SATs last summer!). 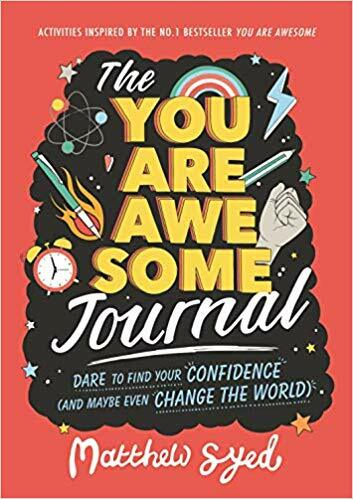 The “You are Awesome Journal” accompanies the first book and is full of tips and activities to make you the most awesome person you can be! You can share some of the amazing quotes with your parents and they could change too! There are lots of pages in the journal for you to write your ideas in. I give it 5***** and recommend it to people aged 8 to 999! Don’t forget to read the first book – “You are Awesome”.